Affordable .IN Domain Names Registration - Register .IN Domain Name Today! Register .IN Domain Name Today! .IN is the Internet country code top-level domain (ccTLD) for India. The domain became active in 1992. Located in Southern Asia, India borders the Arabian Sea and the Bay of Bengal, between Burma and Pakistan. 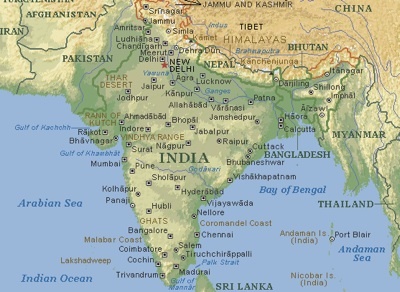 India spans 1,269,346 square miles. Hindi is the national language and primary tongue for 41% of the population, although English is the most important language for national, political, and commercial communication. Aside from Hindi, there are an additional 14 official languages: Bengali, Telugu, Marathi, Tamil, Urdu, Gujarati, Malayalam, Kannada, Oriya, Punjabi, Assamese, Kashmiri, Sindhi, and Sanskrit. By registering a .in domain name, your company can provide relevant and localised information about your product and services. There are no restrictions for registering a top level .IN domain. Registration for these domains is open to anyone, similar to .COM, .NET, or .ORG.